There are a lot of medicines that are packaged as cream or as ointments for skin application. Pimples, dry or rough skin conditions, skin asthmas or irritation, rashes, stings, and fungal infections are far better cured with these pharmaceutical creams and ointments as prescribed by the doctor or dermatologists. Antibiotics and corticosteroids creams are examples of topical medications which are essential in dealing with infectious diseases. Pharmaceutical creams and ointments are semi-solid emulsions of oil and water. 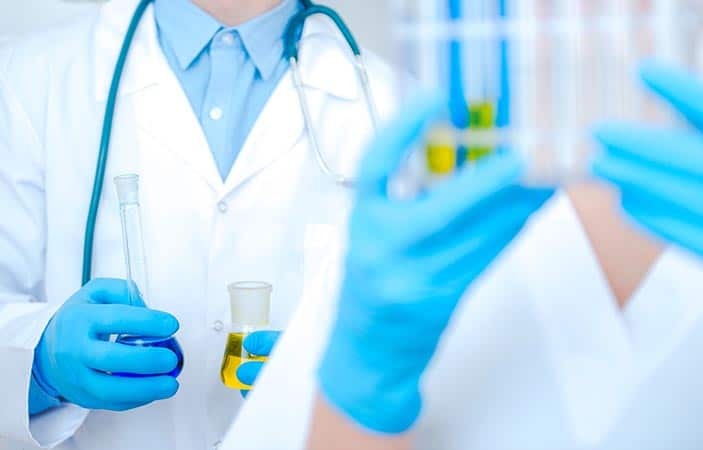 Like many other medical products, these are critically and delicately formulated for human use and manufactured with utmost cleanliness and precision complying with health and safety regulations. A simple miscalculation in its formulation or negligence in manufacturing can lead to users’ sickness or even death. Formulations are done by chemists and scientists in the R&D department of a company, while manufacture of these ointments and creams are done in pharmaceutical factories and manufacturing plants. In manufacturing, the most critical process is during the mixing of pharmaceutical ingredients. Mixing emulsions not only gives the cream and ointment its desired physical properties, but also its where ingredients chemically react with each other at the right pressure, temperature and viscosity, producing a homogenized, emulsified and evenly distributed vitamins and minerals in the mixture, ready to cure infections and diseases after post-processing. Pharmaceutical cream and ointments can be in the form of water-in-oil emulsion or oil-in-water emulsion. Its ingredients are composed of waxes, emollients and lubricants dispersed in an oil phase and a water phase containing emulsifying, stabilizing and thickening agents, preservatives and optionally, colorants. Active ingredients are also added in either phase. Oil Phase Preparation – Powdered ingredients are dispersed into oil or silicone oil. Ingredients may be melted through heating. Heating can either be in the form of jacket heating or coiled-pipe heating. Sometimes heating can be minimized when the powdered ingredients are pre-blended through dry blending before mixing it with the oil phase. This saves energy and reduce cost. Emulsifiers, thickeners and stabilizers are dispersed into the water in a separate vessel. Again, to accelerate hydration, heating of ingredients may be incorporated in the process. Emulsion is formed when the two phases are vigorously blended together. The active ingredient, which only forms a small portion of the formulation, is dispersed in the mixture. Lumping of some ingredients in the oil. Longer mixing time due to difficulty in hydrating the thickeners. Weighing of the ingredients is done into the vessel prior to being heated. The mixer is started when the product is partially liquified. The high-speed rotation of the rotor creates a powerful suction, drawing the powdered particles and other ingredients into the workhead. An electric motor drives the shaft inside the mixing tank. This shaft is coupled with an impeller which it is rotated at a high-speed, driving oils and flake materials with strong centrifugal force within it. The components are introduced in the mixing tank at variable speeds. The mixer incorporates a high fluid shear inside the tank to emulsify or homogenize the material. The intake and expulsion of materials through the workhead ensures that the contents of the vessel passes many times through the workhead. The combination of heat, vigorous mixing and particle size reduction accelerates the melting process of the ingredients, and rapidly disperses the powder grinds into the oil to produce a homogeneous end product. In this way, the cream mixer rapidly disperses solids into liquids, hydrate the thickening and stabilizing agents, break down the remaining agglomerates, and finely reduce particle and globule size forming stable emulsions and suspensions. High viscosity and greasy pharmaceutical cream or ointment can be processed easily, without necessarily needing additional pumps or auxiliary equipment. Easily adapted to variations in product type and formulation. High shear and high speed mixing guarantees deagglomerating the mix before the powders and thickeners are added and refining of finished product prior to packing.